Large-Capacity 121 L Solution Tank And 140 L Recovery Tank. 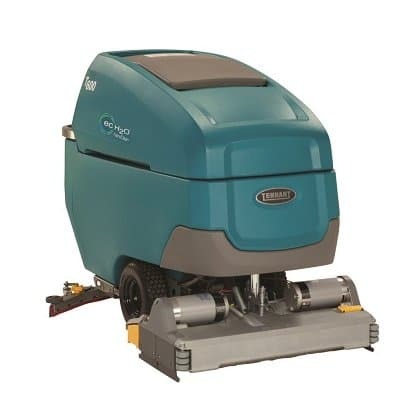 Deliver exceptional cleaning performance and reliability even in the toughest environments. 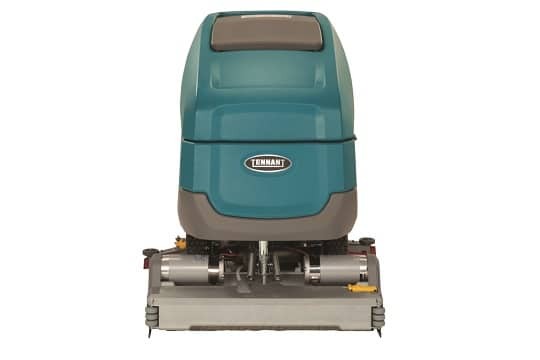 The Tennant T600 Walk-Behind Floor Scrubber-Dryer features durable construction and a suite of productivity-boosting features. 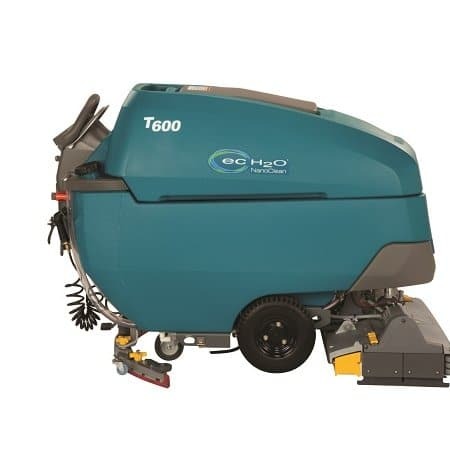 Help make your cleaning operation more productive by choosing from multiple cleaning heads and a variety of optional innovative technologies. Smart-Fill™ is the first on-board battery watering system that automatically fills batteries correctly, at the best time in the charging cycle, making battery maintenance virtually worry-free. Further extend battery life by pairing Smart-Fill with IRIS Battery Manager, with alerts for low battery water reservoir and detailed reports regarding battery charging behaviours. 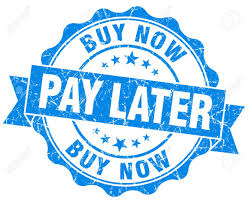 *Estimated coverage rates use the practical speed and empty/fill time standards from the 612 ISSA Cleaning Times handbook. 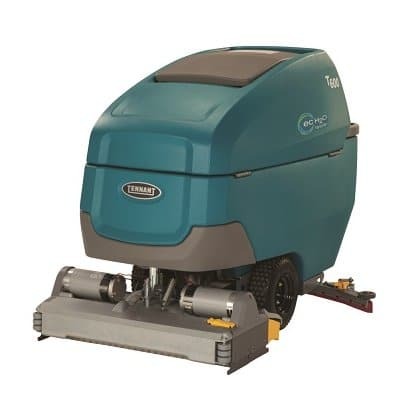 **Up to run-times are based on continuous scrubbing run-times, 210AH batteries, low down pressure, ec-H2O off. 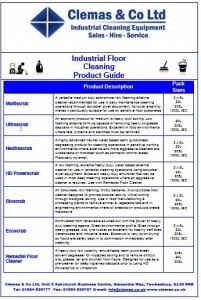 ***Sound levels per ISO 11201 as recommended by the American Association of Cleaning Equipment manufacturers & OSHA.